Scott A. Ziluck is of counsel to the firm and has been a commercial litigator since 1994, primarily focusing his practice on a wide range of business disputes including breach of fiduciary duty, breach of contract, fraud, unfair competition, civil RICO, employment, intellectual property, real estate, and civil rights claims. Mr. Ziluck also has expertise in prosecuting and defending actions in bankruptcy courts, including preference and fraudulent conveyance actions, Ponzi scheme litigation, and bankruptcy appellate matters. Mr. Ziluck handles a wide variety of insurance-related issues including coverage and claim disputes, D&O litigation, and premium litigation. Mr. Ziluck’s practice also includes enforcing and collecting judgments, and handling a variety of transactional matters including, among other things, trademark and copyright registration, employment/non-compete/confidentiality agreements, employment separation agreements, and intellectual property licensing. Mr. Ziluck has tried and appealed cases at all levels of the state and federal courts of New York. His clients have ranged from individuals and small family owned businesses to large multi-national corporations, including financial institutions, real estate developers, insurers, garment and textile companies, design companies and high net worth investors. Prior to joining Halperin Battaglia Benzija in 2010, Mr. Ziluck was associated with the firm Kaplan & Levenson P.C. for more than eleven years. While at that firm, Mr. Ziluck was the senior associate responsible for all aspects of litigation and client management. Mr. Ziluck served as a New York State Assistant Attorney General from 1995 to 1999. 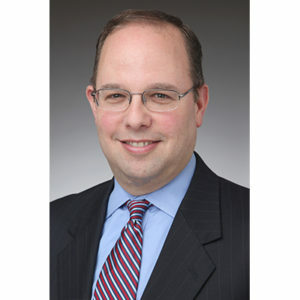 While there, he worked on some of the State’s most noteworthy cases including litigation against the major tobacco companies, the landmark New York City school financing case, and a state-wide class action concerning housing practices in New York State prisons. Mr. Ziluck earned his B.A. from Brandeis University in 1991, and his J.D. from Pace University School of Law in 1994. He is admitted to practice in the State of New York, the United States District Court for the Southern and Eastern Districts of New York, and the United States Court of Appeals for the Second Circuit.